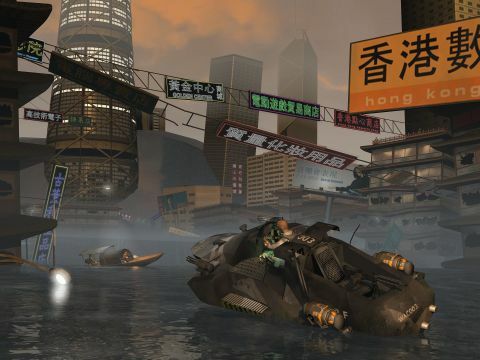 A flooded city scene from the Ocean Warrior game concept. 2D water effects were later added to this rendering to create a signature shot for the project. CLICK HERE to view at 1920x1440 (opens in a new window). All buildings [except the two beige buildings at the center of the shot] modeled and textured by Mark Thurow. Scene co-created by Mark Thurow. Game concept co-created by Mark Thurow. For more like this, click on 'Stardust' below.